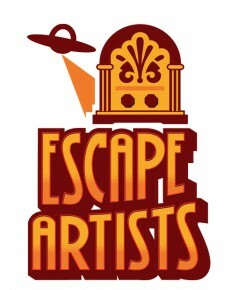 It’s a huge week at Escape Artists this week, so let’s jump straight in. With a new section! This is one of those precision pieces of fiction that haunts you long after it’s done. Helena has captured the feeling of a soft singularity; a gradual evolution that’s no less comfortable for that. Subtle, haunting and beautifully read by Podcastle’s magnificent Khaalidah. Also the new Escape Pod flash fiction contest is go! Everything you need to know to enter is right here. Speaking of haunting… Chris’ story is one you never see coming. It’s a calm, measured descent into Hell wrapped around the everyday love of family and what we’ll do to protect the people that matter to us. Effortlessly nasty, this is an early front runner for my Top Ten stories of the year. One of the first authors I latched onto growing up was Ed McBain. McBain had an incredible talent for opening lines that grabbed you by the lapels and refused to let you go. I have a stack of delightfully tatty 87th Precinct novels somewhere that testify to his skill. Nicolette Barischoff has the same ability. But where McBain went for the pulpy face punch of an opening line, she draws you in with the combination of real life and the fantastic. I’ve rarely been more hooked by a story in two paragraphs. Amazing work and brilliantly read by Steve Anderson. Food is a door into culture. Learn about the food people eat and you learn about the people. It’s a vibrant, delicious approach that not enough authors focus on. Alicia Cole uses the ritual practices surrounding the harvesting of eggs as a springboard into a world that’s richly detailed, realized and involving. All of which is delivered by Rajan’s perfect vocals. Issue 2 cover reveal! Go! Click! Marvel! Order! January is Staff Picks month at Cast of Wonders and they’ve pulled some amazing stories from 2015 this year. Each episode is guest hosted by a member of the team too so if you want to get to know not just what Cast of Wonders does but who does it, then listen to these. (Also two of these are narrated by me and I’m really pleased because they were BIG fun to do). A classic ghost story from the king of classic ghost stories. James excelled at the polite refusal to acknowledge horror until you had no choice but to. I love this story and it was a pleasure to read. With a title like that you’re already on a winner. But what M. Bennardo does here is subtler and far nastier than you might think. I read a lot of horror but this is one of the stories I can still remember point for point, months later. Terry Ibele excels at finding fun, and nasty, corners of steampunk to explore and this story is one of my favorites from last year. The mighty Phil Lunt does great work on narration too, chewing on the villains’ lines with glorious relish. One of the single best written, narrated and produced episodes of any audio fiction I’ve ever heard. Ellen Klages’ story is needlepoint delicate, suspended in the last moments of a last summer and using that to tell a very familiar story in a unique way. The text is perfect, the narration is stunning and the audio production is a showcase of what podcasting can do. Short stories at their best are transcendent. Crystal clear text that explores complex ideas with economy, intelligence and compassion. This piece, again, is an extraordinarily clever examination of a familiar trope. Clever, melancholy and wonderful. And that’s the (huge!) EA week. As ever you can find our back catalogues online through the links. Dive in and, if you can, please subscribe, donate and maybe throw us a review at iTunes. It all helps to keep us doing what we love. See you next week.